The bold floral print rules fashion this spring but it can be a little tricky to pull off — especially if you’re more of a solids and color-blocking girl. Naturally our favorite style icon, Michelle Obama, showed us all how to do it in a Naeem Kahn floral print wrap dress that she wore to the state dinner in Cuba last month. Now we all know that FLOTUS never lets the clothes wear her and she let this bright, busy print take center stage by wisely keeping her hair, makeup, shoes and accessories simple. If you decide to go full-floral in a maxi dress or trousers this spring, there are a few options. Embrace the fun, funky seventies vibe with a vivid oversize print and chunky platform sandals. For a more laid back hippie feel, mix and match demure prairie prints. Or you can keep it low-key (at least as low-key as all-over florals can be) by throwing on a solid jacket that blends with the background color of the print. Because this trend makes such a statement, you may not want to buy a ton of floral print pieces since they could very well look passé in a year. It’s easy to spruce up your wardrobe with flowery shoes and accessories. 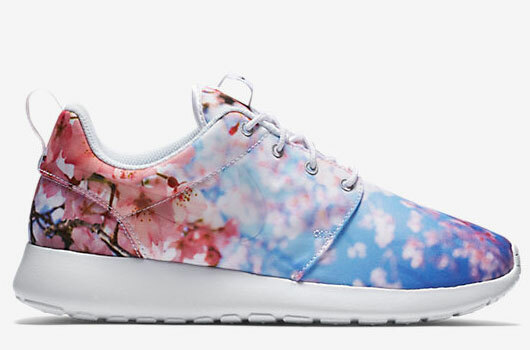 Blossoming fashion sneakers, like Adidas by Stella McCartney, Nike Roshe One Cherry Blossom and Chuck Taylor All-Star Andy Warhol Floral high tops are comfy and sporty-chic. Make it monochrome with Michael Kors Arianna floral print flats or step it up in Topshop Leona Print Platform sandals. Instead of a pop of color, you can add a pop of florals to your ensemble with 3D embellishments or appliqué like a cheerful coral tone-on-tone Halogen Floral Front Collared top or a whimsical Accessorize Floral Clutch Bag. Hair accessories are one of our favorite, and most inexpensive, ways to work a floral print into your look this spring á la Rodarte’s floral crowns. 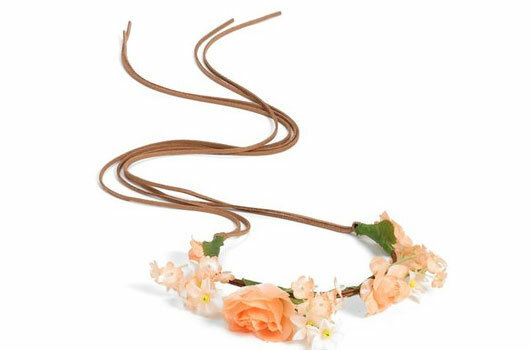 Just slip on a Collection XIIX Floral Headband or secure your coif with an ASOS Flower Bunch hair clip.